Scott Lightowler scored a brace in a man-of-the-match performance as Crackenedge lifted the Wakefield League Premier Division Cup with victory over Beechwood Santos last Friday. Crackenedge wrapped up the league title a number of weeks ago and have won all 13 matches this season but found themselves 1-0 down in the final after Nathaniel Welsh put Beechwood ahead. 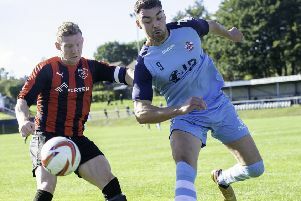 Crackenedge showed great resolve to fight back and secure victory thanks to a brace from man-of-the-match Scott Lightowler and a James Goodall goal. Crackenedge face a hectic week to keep alive their quadruple chances with two semi-finals, while they were due to meet Fox and Hounds in the league last night (Wednesday). They face Royston Cross in the Jim Callaghan Cup semi-final at St John Fisher School on Saturday before travelling to the County headquarters at Fleet Lane next Thursday (April 18) to take on the Malt Shovel from Selby in the West Riding County Trophy semi-final. Overthope Sports Reserves slipped to a 2-1 defeat at home to Snydale Athletic Reserves and must beat Crofton Sports Reserves in their final game of the season this Saturday to avoid finishing bottom of Division Two. 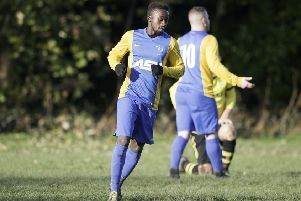 n Wyke Wanderers slipped to a 19th defeat of the season in the West Yorkshire League Premier Division last Saturday as they went down 5-1 at Field. The result leaves Wyke five points adrift at the foot of the table with seven matches to play. Hartshead had Liam Fox and Tom Smith on target but it wasn’t enough to prevent a 3-2 defeat at home to Kippax in Division One as they had one eye on tonight’s Wheatley Cup semi-final against Littletown. Wyke Wanderers Reserves bounced back from Saturday’s 1-0 defeat to Boroughbridge with a 4-2 victory over Sherburn White Rose in Alliance Division Two on Monday as Karl Fawcett and Hui Pin Truong hit a brace apiece. Simon Moore, Paul Ogden, Samuel Richards and Harry Tingle were on target but couldn’t prevent Howden Clough Reserves suffering an 8-4 defeat at home to East End Park Reserves on Monday.